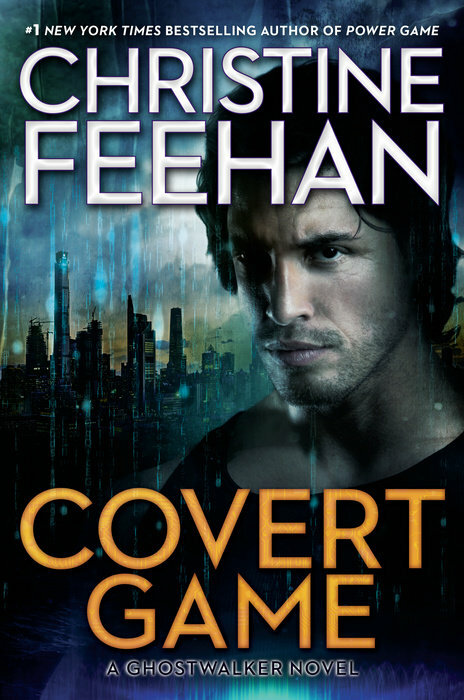 I’m so excited to be sharing Christine Feehan’s new book, ‘Covert Game’ today I’ll be sharing my review and GIVEAWAY! But first, a bit about the book. Covert Game is the 14th GhostWalkers’ novel, and the 589632 book Christine Feehan has written… Okay, she hasn’t written that may books. This is actually her 75th books!! YOU GUYS!! How does she do it? How can she write so many novels so many series and wonderful characters and keep them all straight?? As many of you know, I’m still new to Feehan (I know…*hangs head in shame*) But I climbed out from under my rock and I am addicted! I requested this book knowing I hadn’t read the previous novels… Why you ask… I wanted to see just how standalone these novels are. I have shared a couple of her books on the blog when they were on sale, that wasn’t the first in the series but that looked really good. I figured if I was clicking I’d share with you guys. So I wanted to jump in, in the “middle” of a series to see. Could we really enjoy it without reading the previous novels? I hate spoilers so, would it ruin the previous books so much that going back would be a waste of time? If you’re familiar with the series you know that Whitney isn’t going to let the Ghostwalkers just keep Zara. If you’re new to the series, Whitney is a bit of a mad scientist and creator for the Ghostwalkerprogram. He prides himself in his “patriotic” work. He’s especially proud of what he’s created Zara for. Without giving too much detail I will say that Zara is very special and contains something so important, that Whitney will stop at nothing, until he get’s what he wants. Even without reading the previous stories you get a feel for each character, their love and loyalty for one another and yet. I don’t feel like their books will be spoiled when I go back to read them. Which I totally will! If anything just the bits and pieces I was given only intrigued me more. Yes, I know who ends up with who so far and I know what some of their “abilities” are. But don’t we always know who will end up with who? It’s definitely about the journey with these characters and I can’t wait to dive into more or the Ghostwalkers. *Must complete all tasks. Must be a follower of the blog. You will be required to provide the email you follow the blog with. US only, because I can only gift the US publisher’s edition. No purchase necessary. The publisher and Christine Feehan are in no way associated with this giveaway. Thanks, I’ll have to look that one up! WOW she’s written a lot of books. I’m so impressed right now. Talk about prolific! I’m amazing I hadn’t heard of her before the end of last year! It’s been a huge hit and she has many series that are almost just as long! Very talented writer though so I can see why! I’m so tempted. It sounds like a super engaging book from an author I hadn’t heard of before. Thanks for sharing this. https://www.goodreads.com/ijpanko, loved your review. I have read almost all of her books. She does write a lot but I guess it’s the alpha males I read it for. Her alphas are amazing! Have you read Judgment Road yet? So so good! I have never read her before. With 75 books and 14 in this series, I have no idea how I have not! I actually have never read anything by this author but this sounds interesting. I’ll have to check her out. So many to choose from that’s for sure! I hope you get a chance to read her! Wow, 14th in the series and her 75 books altogether. That’s a huge accomplishment. Isn’t it! I can’t imagine having that many stories in my head and she has so many releasing coming up still! I’m impressed with that many books written! But it would probably make me not want to start it because I have a thing about finishing series–even if they can all function as standalone like this one did. I have yet to read one of her books, though I have a few on my shelves. This one looks great! I haven’t read any works by this author but after reading your review, I most certainly will! 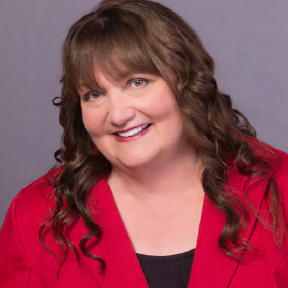 Great review, I haven’t read any books by Christine Feehan yet, I know the shame but I hope one day I can read at least one of her book series. And this book looks and sounds absolutely amazingly fantastic and right up my alley. Thank you so much for sharing your awesome post.